This post previously appeared on the University of Edinburgh’s Teaching Matters blog. Many of the questions and concerns that the OER Service receives from colleagues around the University relate to what kind of content can and can’t be used in lectures. In order to address these concerns, the OER Service runs a wide range of digital skills training workshops and eventsaround open educational resources (OER) and the use of licensed content in learning, teaching and lecture recording. The University purchases licenses through a number of agencies, to allow staff to use books, chapters, papers, films, and other resources in our closed teaching spaces. Closed teaching spaces are spaces that are only accessible to registered students and staff, e.g. lecture theatres, labs, tutorial rooms, and EASE authenticated online spaces such as Learn and Moodle. It’s okay to use these licensed resources in your recorded lectures as long as the recording is only shared with our registered students in authenticated spaces. We also have access to a whole host of OER that we can use in a variety of exciting ways both inside our closed teaching spaces and in open online spaces. OER are online resources used in the context of teaching and learning that have been released under a Creative Commons licence so they can be reused, remixed and re-purposed by others. 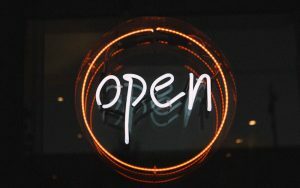 The University has an OER Policy that encourages staff and students to use and create OER and you can find and access many of these resources through Open.Ed, our one stop shop for advice and guidance on OER and open licensed content. The number one tip that we encourage everyone to develop as part of good teaching practice is to get into the habit of providing attribution for all the resources you use in your lectures, including images, diagrams, film clips, audio and text. To attribute a resource you should include title, creator, licence and, where possible, source URL. If you’re showing a video or film during a recorded lecture, we recommend that you stop the recording at that point, show the film to your students, then resume the recording. When you’re ready to share the recording, you can then provide a direct link to the film or video so your students can watch it in their own time. If you’re recording a lecture that you would like to share outside of closed University teaching spaces, e.g. on Media Hopper Create, on a blog, or on the open web, you need to ensure that all the content has either been created by yourself, is outside of copyright protection (i.e. resources that are in the Public Domain by virtue of their copyright term expiring, or CC0 resources that have been placed in the public domain by creators who have chosen to relinquish their rights), or has been released under an open licence. The University’s OER Service provides all kinds of advice and guidance and training on creating and using digital resources, and understanding copyright and open licensing, so don’t hesitate to get in touch with us though Open.Ed, come along and join some our free events, and sign up for the quarterly OER Service Newsletter. This entry was posted in higher education, oer, university of edinburgh and tagged higher education, lecture recording, oer, OpenEdFeed, uoe. Bookmark the permalink.